I didn't notice the speech Bernanke gave last year, called "Why are long-term interest rates so low in the United States and in other major industrial countries?". "[W]hile central banks certainly play a key role in determining the behavior of long-term interest rates, theirs is only a proximate influence. A more complete explanation of the current low level of rates must take account of the broader economic environment in which central banks are currently operating and of the constraints that that environment places on their policy choices. 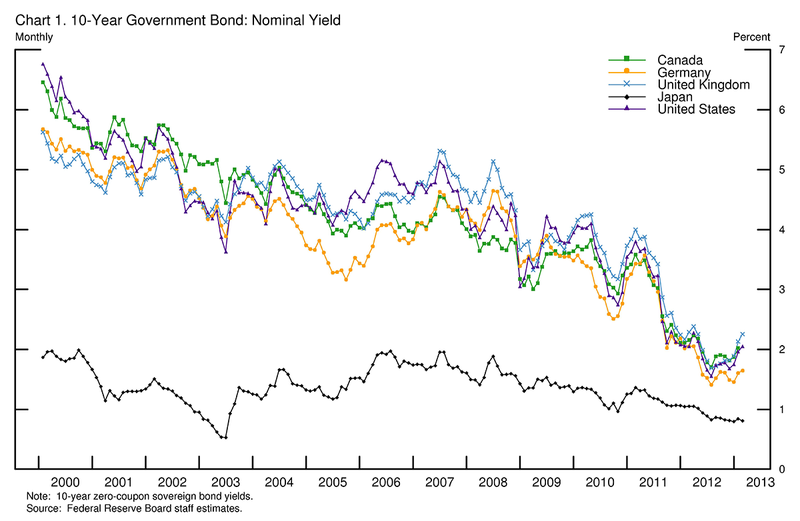 Chart 1 shows the 10-year government bond yields for five major industrial countries: Canada, Germany, Japan, the United Kingdom, and the United States. Note that the movements in these yields are quite correlated despite some differences in the economic circumstances and central bank mandates in those countries. Further, with the notable exception of Japan, the levels of the yields have been very similar--indeed, strikingly so, with long-term yields declining over time and currently close to 2 percent in each case. Bernanke doesn't say it, but the real story here is that if you don't want deflation, you need your population to reproduce. If you have a generation that fails to push the species forward (like the baby boomers, or the low fertility generations in other countries), it seems from the chart above that you can look forward to a grinding deflation no matter what tricks the central banks pull. Naturally, I think the 10 year treasury is very attractive here. Speaking of deflation, notice what has been happening to crude oil futures. 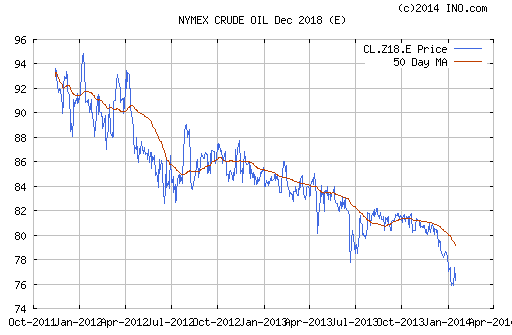 For example, this is the December 2018 crude oil contract. The futures market has crude oil declining to $75 and apparently staying there in perpetuity! I wonder, is that supply-side or demand-side? Similarly, gold keeps declining. 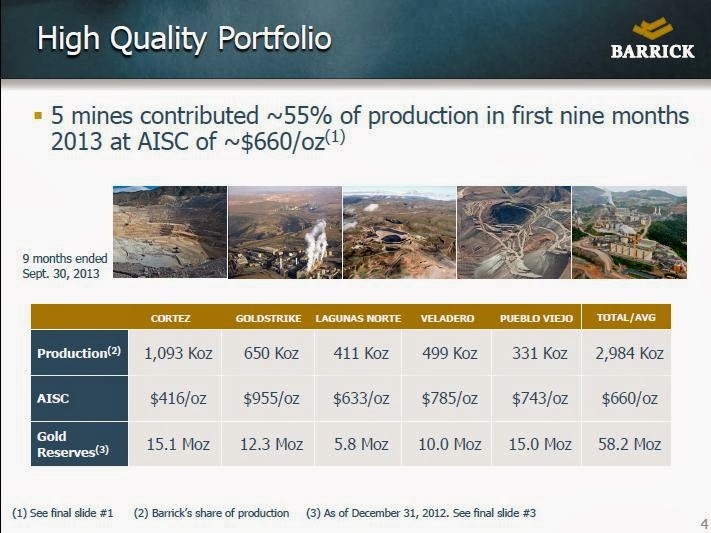 There is a long way to go before it hits cost - see for example the Barrick December 2013 investor presentation which shows an average "all in" cost of $660/oz at their five largest mines. It's not just nominal yields that have fallen. Real yields have fallen too. For what it is worth, I would not short long duration nominal or inflation protected treasuries. For example, investors might finally be able to go to the bank and get CDs at 5-6 percent, which is impossible now, offering higher potential income for retirees. Funniest damned thing I've ever read in Forbes! The average yield on a 5-year CD is just 0.48% (lowest I have ever seen) and they are talking about the supposed rising CD rate environment! Rising rate environment my @$$! Falling rates good for gold? Well, maybe not! We're mining stuff like crazy now. Can the Fed stop expanding its balance sheet? And if so, what effect will that have on rates? None? Conventional wisdom believes that QE has prevented a Great Depression by lowering long-term interest rates. If this is true, then what would have happened if the Fed had done nothing? 1. We'd be in a Great Depression. Clearly there is a problem with conventional wisdom here, at least in my opinion. For what it is worth, I am a holder of long-term treasuries (mostly TIPS). I didn't buy because of the Fed. I bought in spite of the Fed. I agree there is a problem with conventional wisdom. I don't really follow logic on either side though. I have to admit it's pretty confusing to me. Historically I understand why rates went lower in depressions and higher in "recoveries": people were worried about getting their money back so they bid up "risk free" assets like government debt, and then when competing investment alternatives seemed safer yields had to rise on government debt to compensate for the opportunity cost of investing elsewhere. This seems actually backward to me from how a "rational" allocation should work. Because the business cycle is driven by mass misallocation of capital with much capital being destroyed/consumed in the mistaken belief that it is so superfluous as to be "cheap" enough to do so, I would expect interest rates to RISE in a depression, representing the additional time cost reward of people who are willing to withhold present consumption in order to create more wealth in future periods. Because capital has become scarcer rather than dearer in the bust phase, I would think rates would go up to incentivize the accumulation of capital. On the other hand, as the economy recovered and capital was rationally allocated and became more generally abundant (the overall capital markets being more efficient in nature), I would expect interest rates to trend back DOWN toward a "stable equilibrium" of some sort, representing this new abundance and the ability of individuals to more generously consume the fruits of their labor rather than saving an excess to ensure for high rates of productivity in the future. Of course, in this model there would be no "risk free" return offered by government debt as I would expect it not to exist, or, if it did, I would expect the market to punish it as the profligate squanderer of capital that it is, with higher and higher rates on the debt it issued as it issued more and more until finally the market refused to buy new issuance. I do think the economy would've entered a depression (which it did in part anyway) without the Fed's actions, but I don't believe this would've been a "bad" thing. It would be better to have a Big Depression back then than a Huge Depression sometime later. And the economy having had a chance to reallocate capital without further intervention by the State, all activity going forward would be on sounder footing with regards to its relationship to actual consumer preferences (including time preference on capital vs. consumption). I still don't get what QE does if it doesn't hold bond yields low. Can you expand on whether falling rates are good for gold? Why did gold rise from 2000 onward in your view? "I still don't get what QE does if it doesn't hold bond yields low." It is my opinion that the goal is/was for each dollar spent on QE (spent on treasuries) to entice more than one dollar into riskier assets. Did it work? Maybe. Can it work forever? Maybe not. "Can you expand on whether falling rates are good for gold? Why did gold rise from 2000 onward in your view?" Falling real yields (yields adjusted for inflation) are supportive of gold prices because falling real yields encourage hard asset hoarding. However, at some point hard asset hoarding encourages hard asset creation. We saw this during the housing bubble. As prices rose, we saw increased housing construction. Similarly, the high price of metals has encouraged increased mining production. I understand you're sharing your opinion and I don't believe there's any reason for you to defend yourself. I'm not trying to debunk or attack your view, I just want to understand it better because currently I don't. That being said, I hope your opinion is based upon a reasoned understanding of the issue, not just an opinion for opinion's sake! What you say about the purpose of QE to me sounds like another way of saying "Drive rates down". If rates are pushed down on "risk free" assets, they become increasingly unappetizing for people with performance hurdles, pension funding hurdles, etc. so their only recourse is to take a chance on riskier assets. The Fed is effectively saying, "Tsk tsk, we'll buy all this new paper so you don't have to, you boys go play over in that sandbox now..."
Now I am confused on your take on gold because if what we have to worry about is deflation and lower rates, shouldn't that continue to be supportive of gold prices? 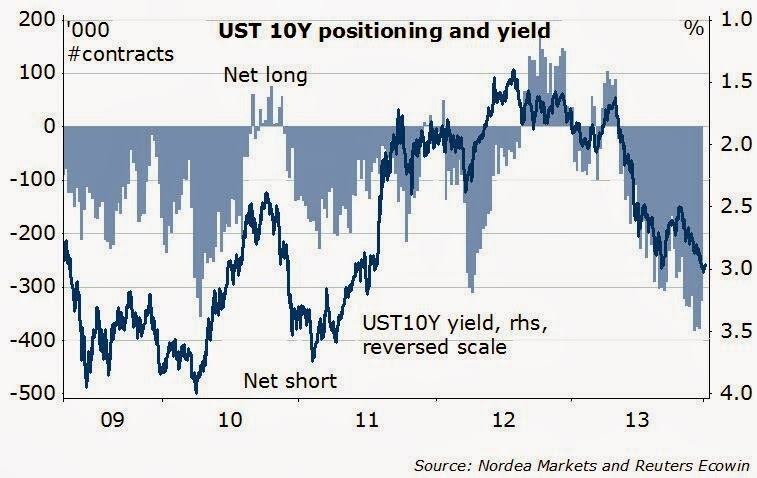 Aren't real yields bound to go lower still? If rates are pushed down on "risk free" assets, they become increasingly unappetizing for people with performance hurdles, pension funding hurdles, etc. so their only recourse is to take a chance on riskier assets. I am arguing that rates could have easily been driven down even more if the Fed had done nothing. If that's the case, then did the Fed really drive down rates? Rates were going down anyway. Who is to say where they'd be if the Fed had done nothing. I strongly suspect rates would be even lower. It's not a fact though. It is only a theory, and hence it is simply an opinion. I am not arguing for argument's sake. 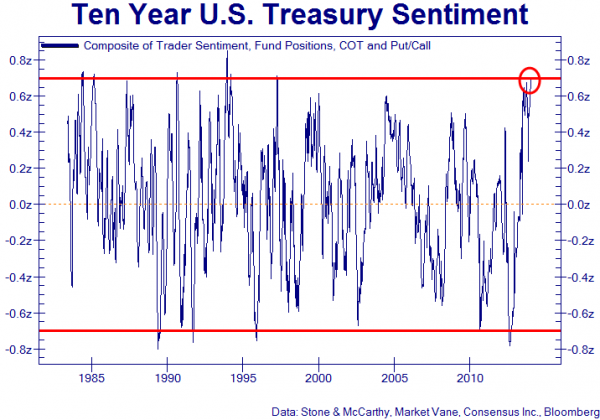 I have purchased long-term treasuries under the belief that rates would stay low. As for gold, low rates were supposed to be supportive of housing too. And yet, here we are. There comes a point where the price of gold (or housing, in inflation adjusted terms) is just too high compared to other things we need and use. Low interest rates could not support the price of aluminum. In hindsight, low rates couldn't support the price of gold either. I owned gold from 2004 to 2006. No desire to own it now though. No asset is good at any price. When gold pushed through $1000 to the upside I claimed that toilet paper would be a better store of value. For what it is worth, I still believe that. There are very few toilet paper speculators near as I can tell. Here's what I said in the comments of that gold to aluminum price ratio link (August 3, 2011). If you are bullish on gold because the dollar is heading to zero then one would think that you should definitely be bullish on aluminum. Just look how historically cheap it is compared to gold. On the one hand, being bullish on aluminum might not be such a great plan if we slide into Japan's deflationary mess. On the other hand, if we slide into Japan's deflationary mess then how is the dollar heading to zero? Just looking for a consistent argument. That's all.